Do you need a locksmith to open a lock, re-key a lock, or repair a lock? Or maybe you need someone to consult with about the security systems you have set up for your home or business. No matter your reason for needing a locksmith, our experts at Colorado Security Products are here to help. Our reputation in the community is excellent, and there’s a good reason why. All of our locksmiths and security consultants are experts in what they do. They know what is available, including the latest technology, and they know how to create solutions for complex security problems. No matter what you need, they will help you craft a security solution for your home or business that helps you rest easier when you go to bed at night. We have an excellent reputation as an emergency locksmith. After all, we are available all day, every day, through the nights, over the weekends, and even on holidays. We know that home and auto lockouts don’t just happen when it’s convenient, and we want to be available to help you out no matter what day or what time it is. Just give us a call and we’ll have someone on the way to you as soon as possible! Whether you need to protect your valuables, store your guns safely, keep unauthorized people out of a certain area, or monitor your premises, we have the tools to make things safe and secure for you. Let us know what you need and we will craft a solution using high-tech tools as well as tried-and-true practices. We’ll help you get the security you need. Do you need a safe? We will help you select one based on what you are storing, how big it is, and where you plan to keep it. 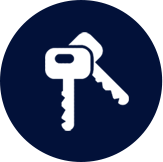 We’ll also help you choose a locking and unlocking solution that will work for you, whether that’s a key, a keypad, a combination, or something else. We want to give you easy access to your valuables while keeping other people away from them. We can also help you keep unauthorized people out of certain areas with our access control solutions. We’ll help you install doors that can be controlled by keypads or keycard access, and this will allow you to decide who gets through what doors and when they can get through them. Need a security system? We can provide that, too, complete with security cameras and more. 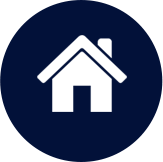 Let us take a look at your situation and help you determine what, exactly, you need. Then we’ll order your new system and get it installed. We’ll make sure you know how to use it and feel comfortable with it before we leave, too. At Colorado Security Products, we know that people need to feel safe in order to live their best lives. We want to help you do that and, since 1977, we have been. 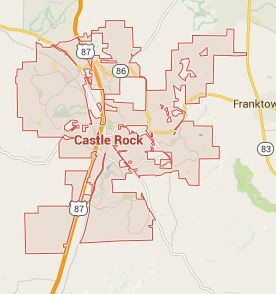 Let us give you a demonstration of exactly why so many people in Castle Rock call us whenever they need a locksmith. We service the whole Denver Metro Area with locksmith services!